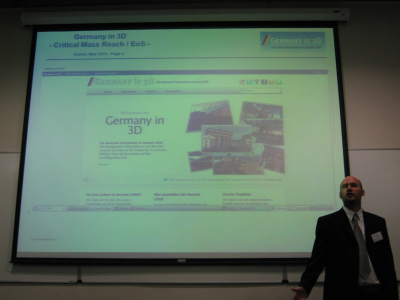 The leading 3D Internet Developers and Community Conference, MetaMeets 2010, took place on 7th and 8th May 2010 in Dublin. Jan Northoff, CTO of YOUin3D.com GmbH, presented at the first conference day, in conjunction with Sandra Lendorf of Seminal Considerations (Virtual Cologne), the joint project Germany in 3D. Germany in 3D is a consortium of German cities and other German projects within Second Life. The MetaMeets 2010 was a success. 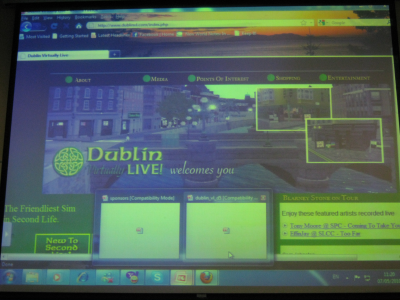 3D Internet developers, business people and community members watched the two-day conference inside the hall at the Dublin Institute of Technologý or via Live Stream. A list of speakers is here. A video collection of the presentations is here. 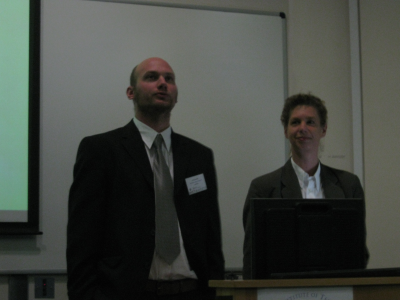 The next MetaMeets will take place in 2011 in Berlin. Many thanks to all who have made this event possible!